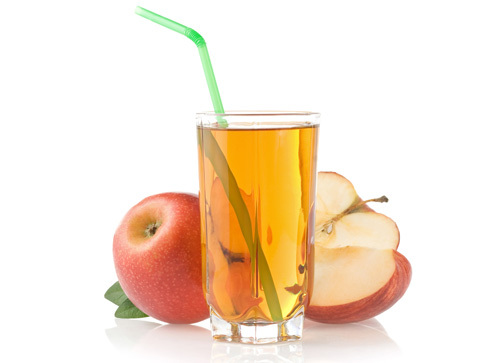 Quality: Use a blend of varieties to make quality apple juice. For best results, buy fresh juice from a local cider maker within 24 hours after it has been pressed. Refrigerate juice for 24 to 48 hours. Sterilize pint or quart canning jars or wash and rinse half-gallon canning jars; keep hot until ready to use. Prepare lids according to manufacturer’s directions. Without mixing juice, carefully pour off clear liquid and discard sediment. Strain clear liquid through a paper coffee filter or double layers of damp cheesecloth. Heat quickly, stirring occasionally, until juice begins to boil. Pour immediately into sterilized pint, quart or clean half-gallon jars. Leave 1/4-inch headspace. Wipe rims of jars with a dampened clean paper towel; apply two-piece metal canning lids.